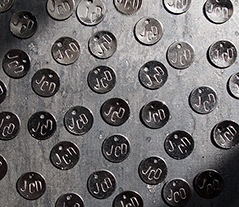 In 2013, I launched the JCD Collection with necklaces celebrating the design, not solely the function, of safety pins. I’m intrigued by wearable art, repurposing vintage jewelry, and using unexpected materials. Two of my favorite compliments have been: “I’ve never seen anything like this before” (gallery owner) and “Your necklaces are sculptures” (restaurateur). Creating artwork (www.janacharl.com) has been my lifelong passion. Soldering silver paved the way to welding steel. I believe art is beauty and intelligence. who we are and strive to be.